Located at the southernmost tip of Africa, South Africa is, without a doubt, one of the finest destinations on the African continent. 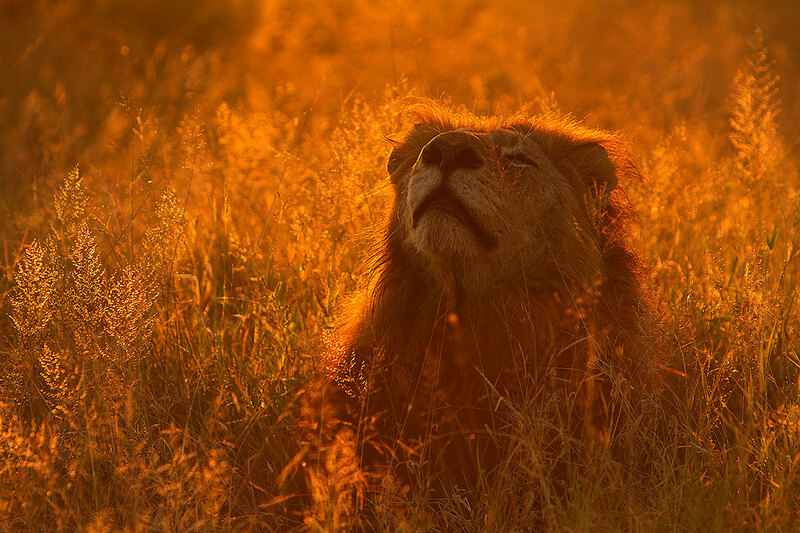 This makes South Africa luxury safari the most appealing luxury African Safari on the continent! This rainbow nation boasts 8 UNESCO world heritage sites, both natural and cultural, and encompasses several extraordinary biomes. Wildlife in South Africa is protected in a number of habitats that range from wetlands, grassland and thornveld savannas, mountains, tropical and coastal forests, to harsh, yet scenically splendid, Karoo and Kalahari “deserts”. And let’s not forget the gorgeous fynbos, renowned for its spectacular proteas and, even more importantly, over 9,000 plant species, +- 6,000 of which are endemic to South Africa. The plethora of wildlife in South Africa is a much valued byproduct of this biodiversity, and thus wildlife opportunities are boundless! South Africa also hosts some of the best kept National Parks and Private Reserves in the world, with magnificent luxury South African lodges , fine food and wines and the ability to cater for the ultimate South Africa luxury Safari experience! It is not surprising, therefore, that South Africa wildlife, scenic and culturally is one of the most popular destinations on earth. We are proud to present a South Africa luxury safari handpicked by ORYX – Worldwide Wildlife Tours and Seasons in Africa, to arguably one of Africa’s most thrilling wildlife destinations – the Greater Kruger National Park. We offer you a 9 day wildlife and nature expedition to three Seasons in Africa properties – The Outpost, in the biodiverse and visually stunning Pafuri area in the north of Kruger; Kings Camp, in the game rich Timbavati region in the central portion of Kruger and Leopard Hills, situated in the world famous Sabi Sand Game Reserve, and arguably the finest luxury safari destination in Africa to spot the shy and elusive leopard. These areas are excellent places to view Africa’s Big 5 – Lion, Leopard, Elephant, Cape Buffalo and Rhino, so join us for a South Africa luxury safari with the best in the business! Regular sightings of very relaxed Elephants are common on our luxury safari in South Africa. Today your incredible South Africa luxury safari commences with a flight from OR Tambo International Airport to Phalaborwa (flight cost exclusive of tour price – see below), a town in the Limpopo Province in northeastern South Africa. There after you drive to The Outpost, a stunning camp in an amazing property in the far north of the Limpopo Province. Situated in the Makuleke Contractual Park, which is a 26 500 hectare wilderness in the Pafuri portion of northern Kruger National Park, this is the most biodiverse and scenically spectacular part of Kruger and we are in for a treat in this underexplored region! The faunal diversity is a by-product of the vegetation and varied topography of the Pafuri region, with Mopane woodlands, savanna grasslands, attractive Fever tree forests and areas dotted with huge, bulbous Baobabs making it both visually appealing and decidedly species rich. 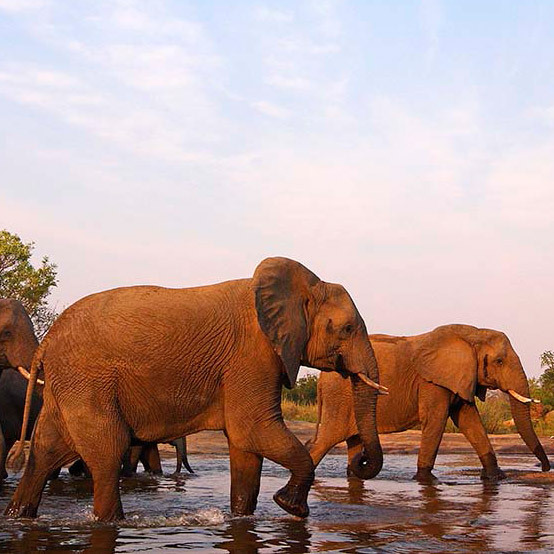 This is a ‘Big Game’ area, with large herds of Elephant and Cape Buffalo often encountered. Nyala, a dainty antelope that is quite uncommon in most areas of Kruger, is delightfully common in the thickets of Pafuri, while other interesting mammalian inhabitants include Sharpe’s Grysbok, a tiny but attractive antelope while on the other side of the size scale, the enormous Eland can also be seen in the area. Eland are the largest antelope on earth, and can weigh upwards of 900kg! Scenery on our luxury safari in south Africa ranges from the beautiful, quietly-flowing Levuvhu River teeming with hippos and crocodiles and shaded by Nyala trees and Fever tree forests, the grand Lanner Gorge to palm-fringed wetlands and rocky outcrops with thousand year-old Baobab trees. 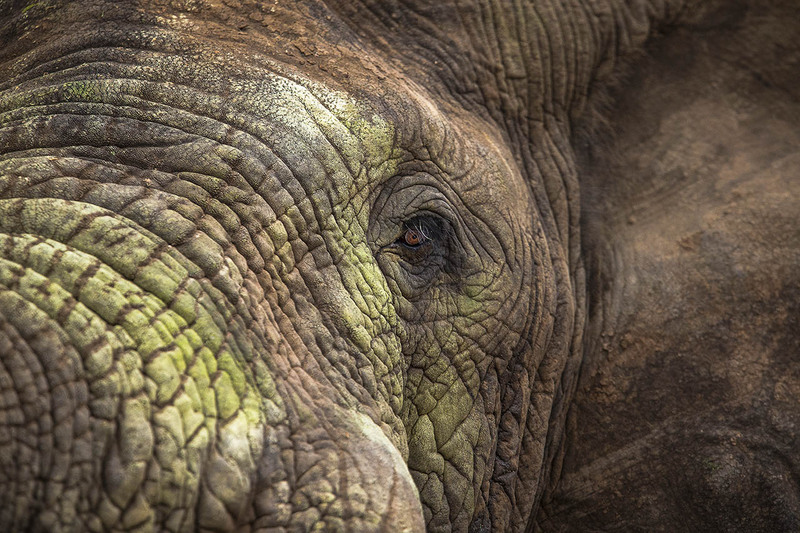 The area is a favourite winter feeding ground for Elephant from nearby Zimbabwe, Mozambique and elsewhere in Kruger. Leopards love the thick bush environment alongside the Levuvhu, and target Nyala, Bushbuck and Impala that forage through this browse-rich zone. The confluence of the Limpopo and Levuvhu rivers is known as Crook’s Corner, and in times gone past, it was an area where people attempting to evade the law would use the convergence of three countries boundaries to evade the authorities seeking them out by moving across to a new jurisdiction in a neighbouring country! Nowadays however, Crook’s Corner is more famous for the large population of Hippos and Crocodiles that reside at the confluence of the Limpopo and Luvuvhu rivers. Perhaps the most easily seen expression of the biodiversity in this area is in the birds, and this area is certainly a bird-lovers paradise! Specialities include the huge, ginger Pel’s Fishing Owl, Racket-tailed Roller, Orange-winged Pytilia and Mottled and Bohm’s Spinetails. Today, on our luxury African safari, we depart the north of Kruger, and catch a flight to the central portion of the park – The Timbavati, which is in a game rich belt where we can expect excellent sightings opportunities. Kings Camp faces an open savanna plain with a waterhole, which is frequented by a wide variety of wildlife by day and night. 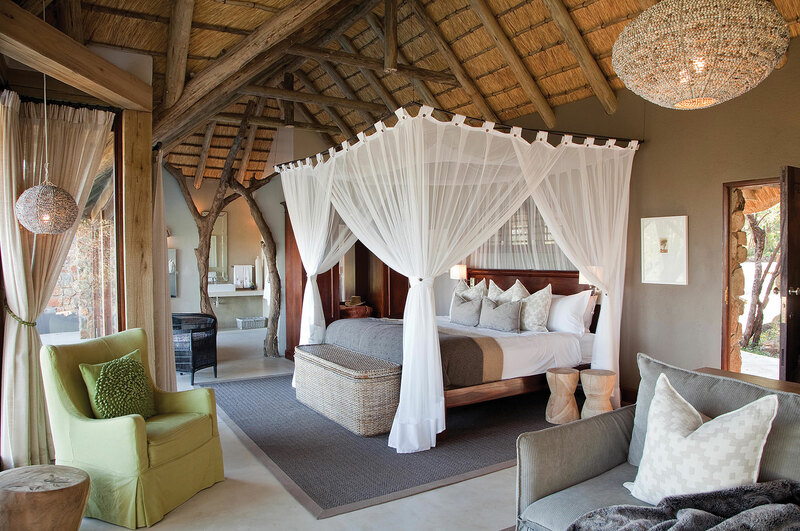 Kings Camp reflects the charm and romance of a colonial past… The thatched viewing deck overlooking an active waterhole, and an open plan lounge and bar are ideal places where you can simply relax and soak up the tranquility of the African bush. The spacious dining room offers stunning views of the bushveld, while enjoying the sumptuous meals. Situated in the world famous Timbavati Private Nature Reserve, the camp is a game-viewing and wildlife haven, with our main targets here being Africa’s legendary “Big 5”. Numerous territorial Leopards call Kings Camp home, as well as several prides of magnificent Lions. Cape Buffalo and Elephant congregate in huge numbers here and we expect to see these giants at very close range. We will explore this Big 5 country in customized, open Land Rovers in the mornings as well as in the afternoons in our quest to find our numerous targets. We also have the opportunity to view the increasingly endangered White Rhino and, if we are extremely fortunate, perhaps even a roaming pack of African Wild Dogs. Two individual packs of these mythical predators move in from the neighbouring Kruger National Park on occasion, and our local guide and tracker will most certainly follow any fresh tracks and signs that we might happen to come across. However, the Timbavati promises far more than just a good game-viewing destination: with access to 100 square kilometres of shared wilderness, guests are also treated to an abundance of beautiful bird species – large raptors are a prominent feature in this area, and include Africa’s largest eagle, the rapacious Martial Eagle. After a final morning’s game drive and breakfast, we will depart on a road transfer from Kings Camp (Timbavati) to the world famous Leopard Hills situated in the Sabi Sand Game Reserve. After check in and lunch we will depart on our first afternoon game drive. Sabi Sands is the birthplace of sustainable wildlife tourism in Southern Africa, and is the oldest private reserve in South Africa. It has been a remarkable wilderness area for millennia, and is rightfully one of the best safari areas in Africa. 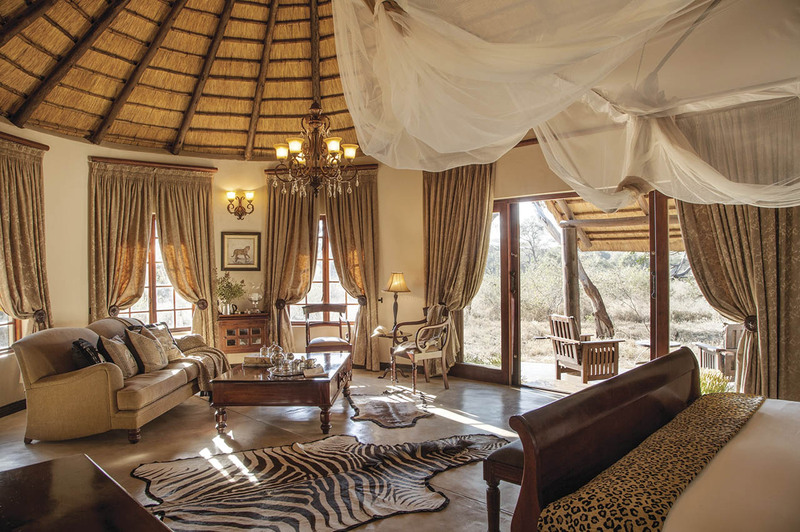 Leopard Hills forms part of the exclusive selection of private game reserves that border the unfenced western edge of the immense Kruger National Park. Because there are no fences separating these two afore-mentioned properties, animals can wander unhindered between the 55,000 hectare Sabi Sands and the massive Kruger National Park. Seeing Africa’s Big 5 (Lion, Leopard, Cape Buffalo, Elephant and Rhino) is certainly the best anywhere in South Africa, and you will have the opportunity to view, at very close quarters, the untamed African bush and all its indigenous wildlife. 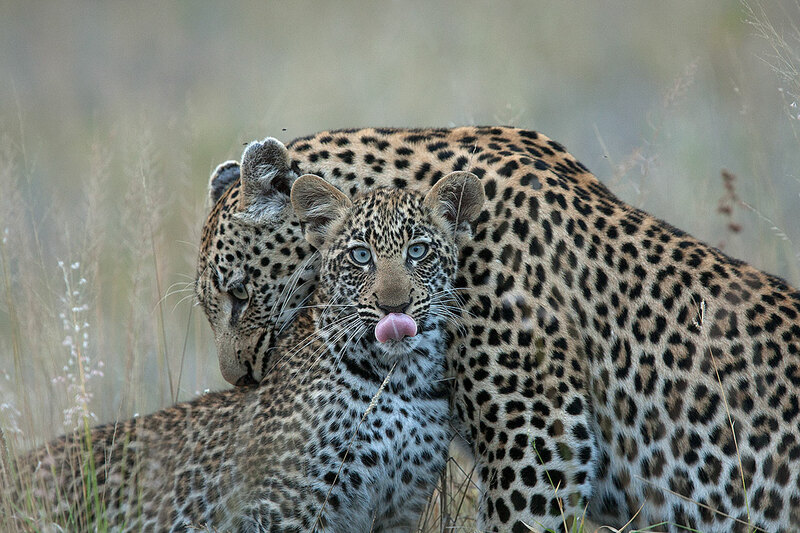 Anyone who has visited the Sabi Sands knows that Leopards are one of the main attractions here. In fact, these cats are so accustomed to the African safari vehicles that they hardly take any notice of them. Even when hunting, a Leopard in the Sabi Sands does not seem to mind a vehicle following it, even if this means following it off-road though the bush! 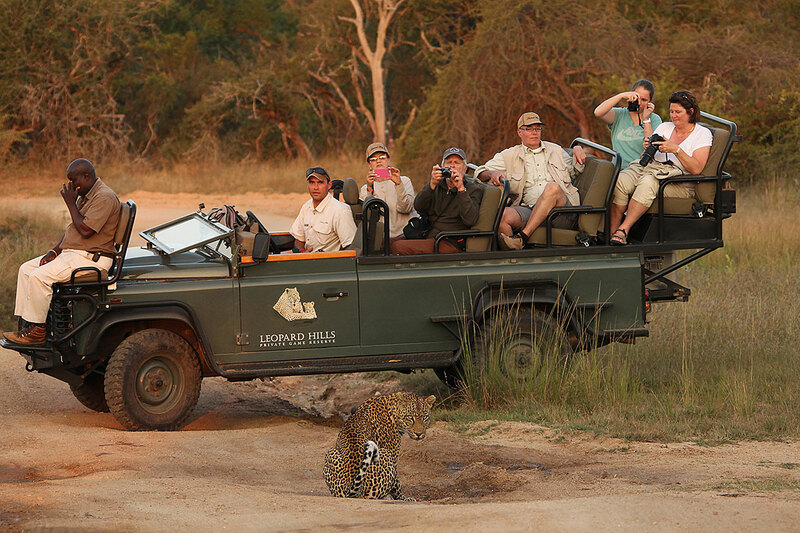 Leopard Hills traverses over 10,000 hectares of the Sabi Sands Game Reserve, which forms part of the greater Kruger National Park ecosystem. Each day is different as we explore the endless fascination of Africa’s wildlife on this luxury African safari. 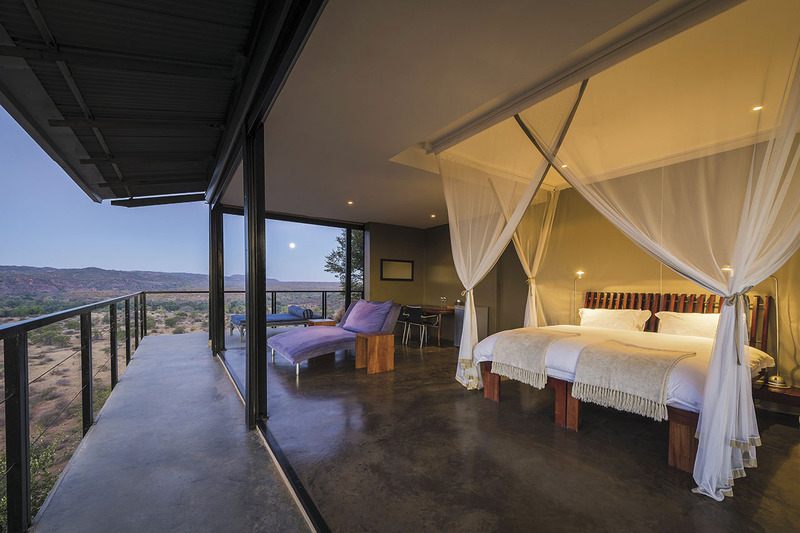 Built on a hill overlooking a natural waterhole and close to the perennial Sand River, your lodge lives right up to its name and is perfect for a South African safari. From your hilltop sanctuary, you may be lucky to catch sight of a Leopard on the hunt, a breeding herd of Elephants or a few graceful Greater Kudu as they browse through the surrounding woodland. 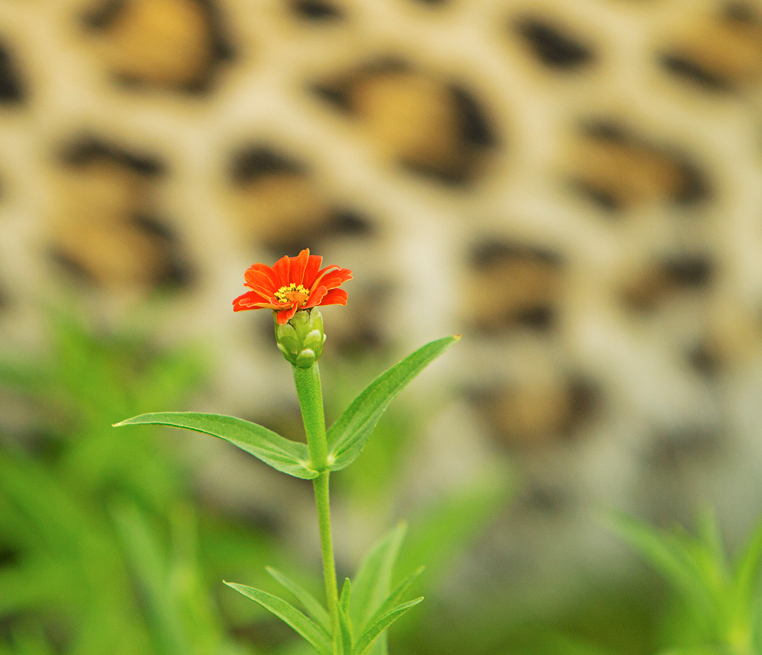 The rich lowveld habitat supports a diverse array of fauna, from the charismatic large game animals to a myriad bird species. Spotted Hyaena, Black-backed Jackal, African Wild Dog and Cheetah are some of the smaller carnivores that inhabit the area, and with a bit of luck, and the bushcraft of your excellent hosts and tracking team, you stand a good chance of seeing these sought after creatures. After a final morning’s game drive and another scrumptious breakfast, we will transfer back to the local airport before flying back to Johannesburg. Upon arrival in Johannesburg (Federal Airport), you will transfer to OR Tambo International Airport, where this incredible adventure sadly comes to an end.